Tonight’s the Night! Come let three of these four serve you again, along with another SU Board member Jerry Justice. Stephanie and Sherri will be at Carbos from 5-6 competing against Nathan and Jerry at Calis. May the best Duo win! 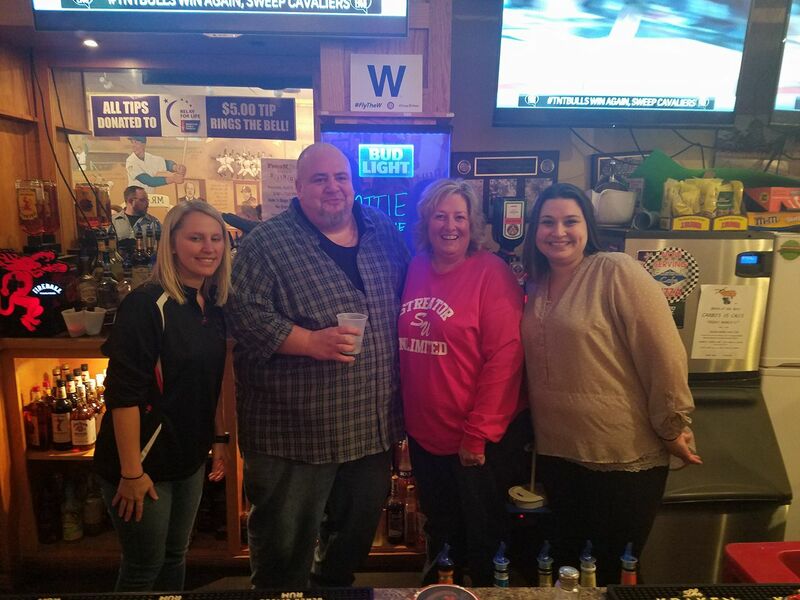 “BATTLE OF THE BARS FOR A CAUSE,” guest bartending night, 5 to 10 p.m. Friday, April 6, Carbo’s Sports Bar, 402 E. Main St., and Cali’s Bar, 502 E. Main St., both in Streator. Proceeds benefit Streator Unlimited, diabetes awareness, Hardscrabble Lions Club dog park, other community projects. Sponsored by Hardscrabble Lions. 815-252-2091. Next Next post: Now Hiring!